On that warm light rich day, as our car sped along the stretch from Gloucester to Walcha, the road seemed like a steel grey satin ribbon clasping at the horizon on to an azure kite dotted with popcorn-shaped clouds. On both sides, patches of disinterested cattle looked like little pompoms on the green undulated sheet of the landscape. We were headed towards Aspley Falls, the first stop in our three-day itinerary. 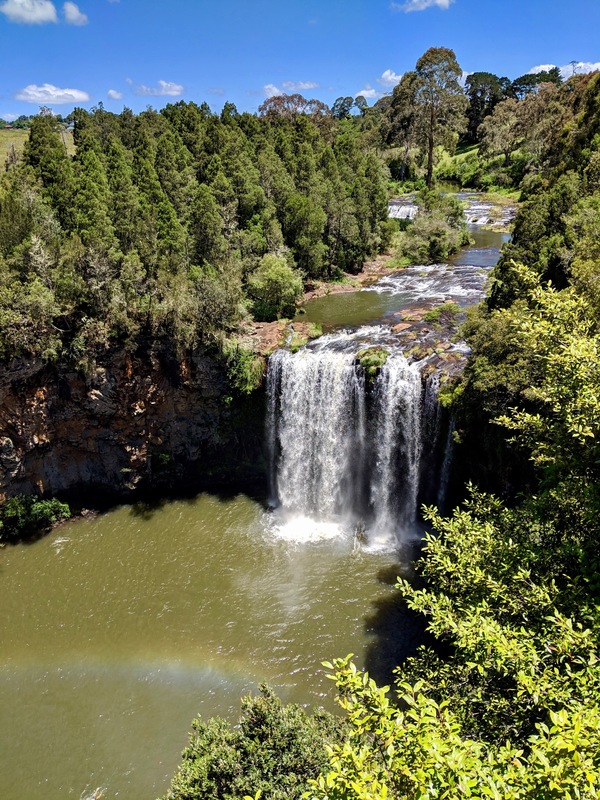 The most spectacular of waterfalls of Oxley Wild Rivers National Park(NP) and one of the best waterfalls in NSW, Apsley Falls is fed by the deceptively calm-looking waters of Aspley River. The Fall plummets into the depth of the gorge in two drops 800mts apart: 62mts high upper fall and 58mts deep lower fall. Access to the viewpoint of the main fall is directly from the carpark through a set of steel staircases. 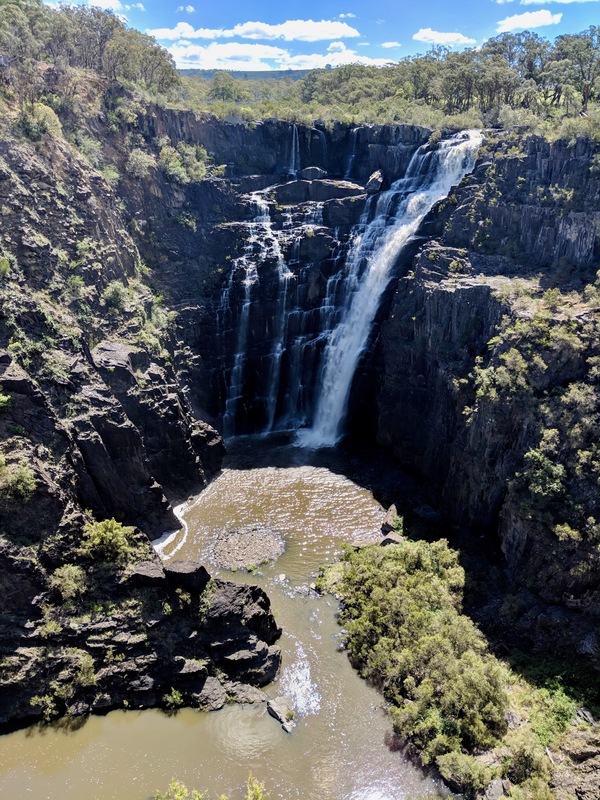 A preceding parking lot led us through a suspension bridge atop the river to the well-paved Apsley Gorge Rim Walk, which took us to the chasm lookout giving a stunning full frontal view of the upper fall. The track then follows the lip of the gorge unto the lower fall and slate walls lookout. 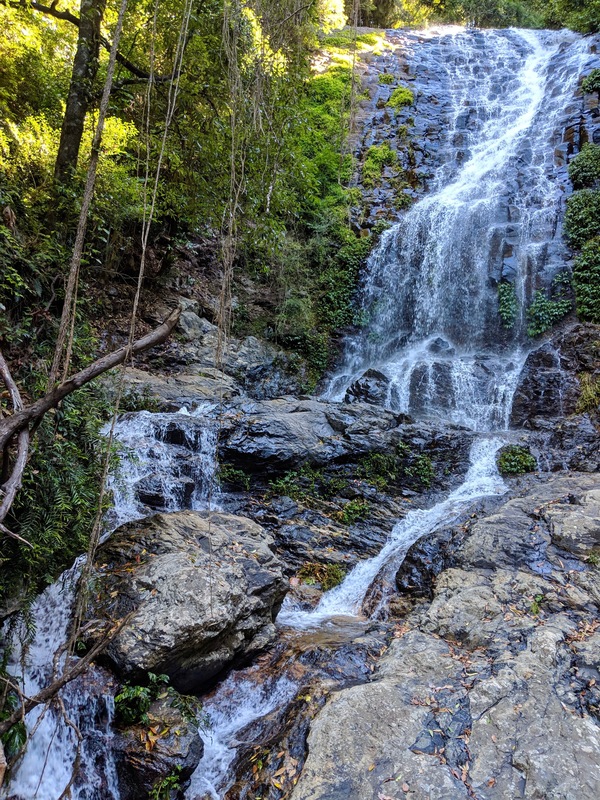 After the long upper drop, the river cascades to the lower fall and empties itself into a gorgeous funnel-shaped valley. 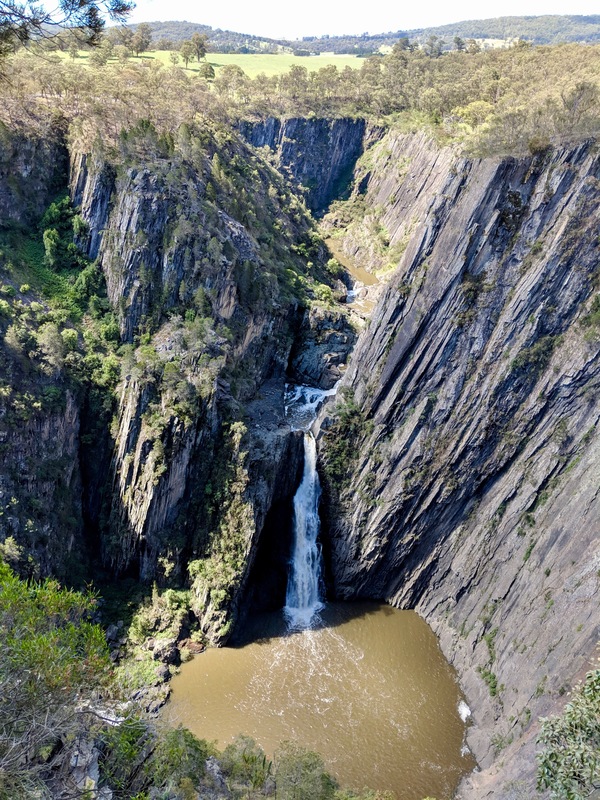 Apart from the waterfalls, the slate walls render Apsley gorge mind-bogglingly gorgeous. Eroded by decades of gushing water and glued to a soft bedrock, these walls are drawn by the gravitational pull to an almost 70°-60° slant. Further down at the southernmost tip of Oxley Wild Rivers National Park is Tia Falls. 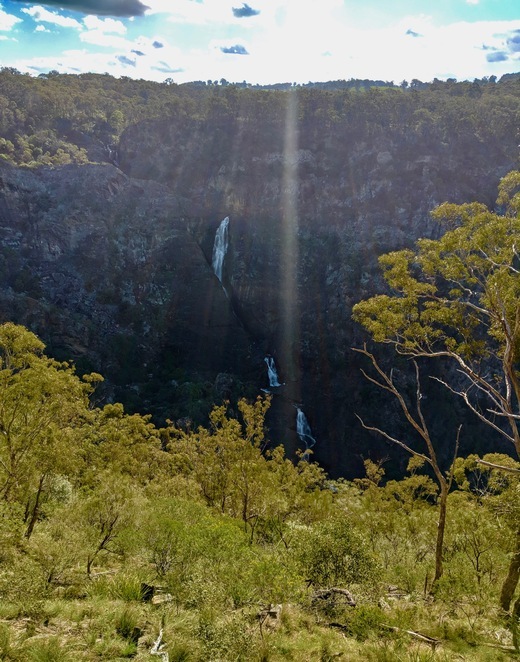 From Apsley Falls, the Tia Falls lookout and picnic area is 25kms. The last leg of this journey stretches along an unsealed road. 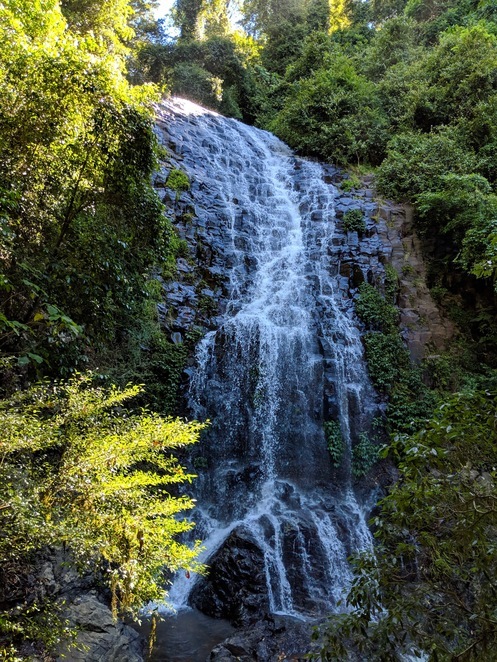 From the picnic area, we followed an unpaved track to the falls lookout which was awash with panoramic views of the lush green valley and a distant view of the falls. Our first stop on day 2 was the Wollomombi Falls at the northern tip of Oxley Wild Rivers NP. From Tia Falls, going via Armidale, at a distance of 146kms is the first of the six waterfalls on Waterfall Way. 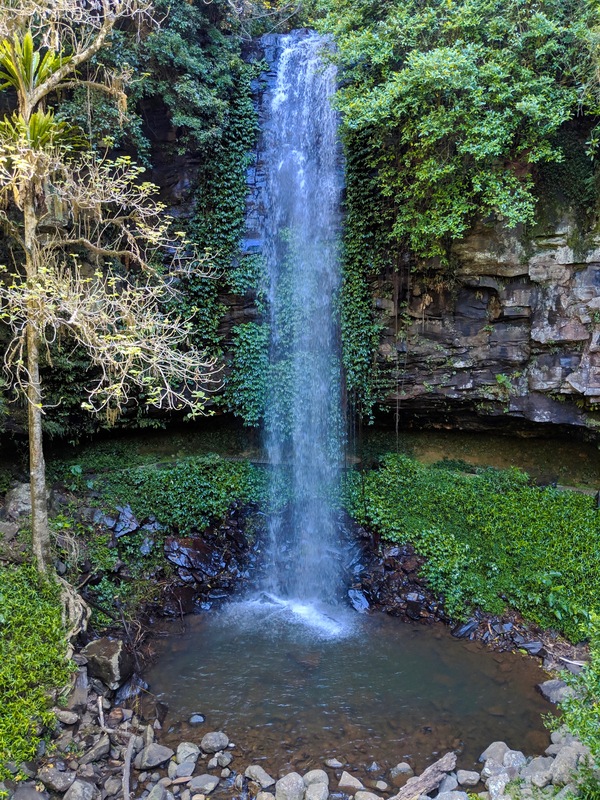 The Waterfall Way connects some of the better-known waterfalls in NSW (namely Wollomombi, Chandler, Ebor, Dangar, Tristania and Crystal Shower waterfalls ) and over six national parks (the primary ones being Oxley Wild Rivers, Guy Fawkes River, Cathedral Rock, New England and Dorrigo National Parks). 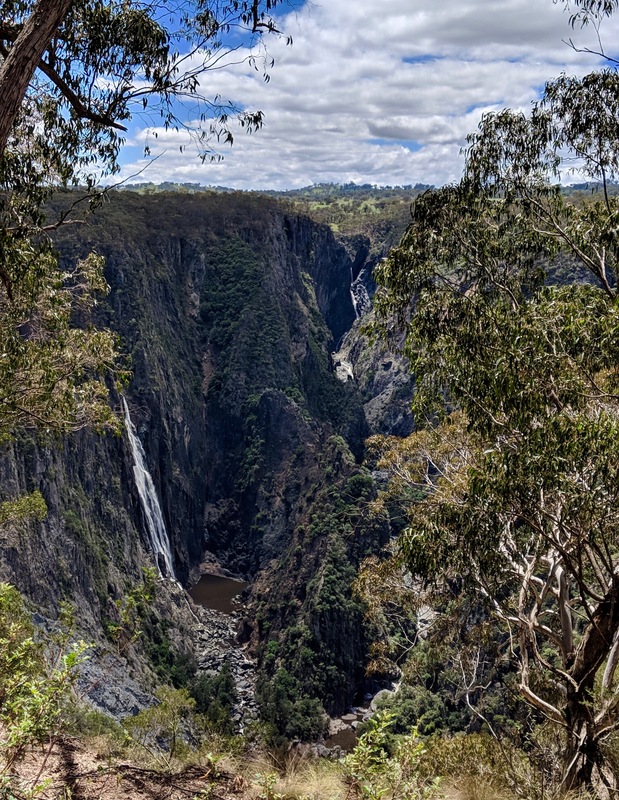 The lookout at Wollomombi picnic area and carpark, provides a far but clear view of both Wollomombi and Chandler Falls. 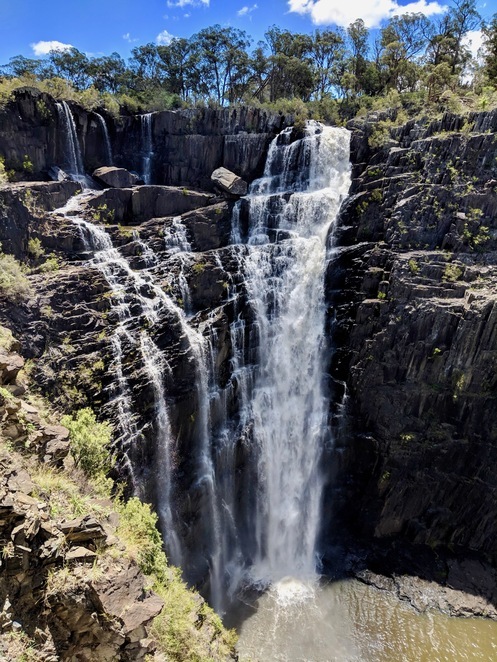 The falls lead to the confluence of Wollomombi and Chandler rivers. Beginning at the picnic area, the part steep part gentle gradient of Wollomombi walking track (4km return) took us across Wollomombi river to viewing platforms close to the upstream overhang from which the river plunges downwards in a single 100mts drop. Exhausted by the warm day yet thoroughly amazed by the Wollomombian beauty, we left for the next stop on our list. Did I say we were already spell-bound?! Ha, Ha because nothing had prepared us for the spectacular beauty of Ebor Falls. The most accessible of the lot, it took us a few metres of stroll from the parking area to the viewing platform. 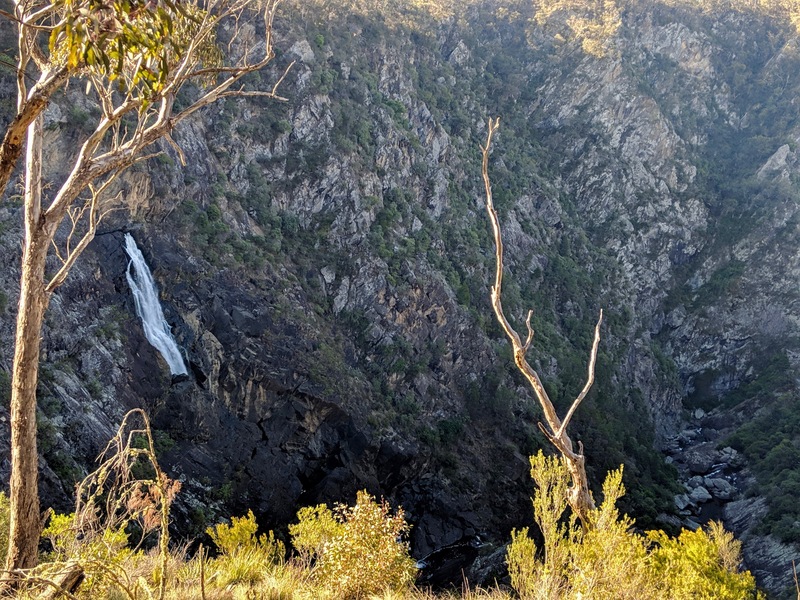 And there it was, the wide, mesmerizing, frill-like form of Ebor Falls. Further down along the track were the viewpoints for the lengthier lower fall and the valley beyond. 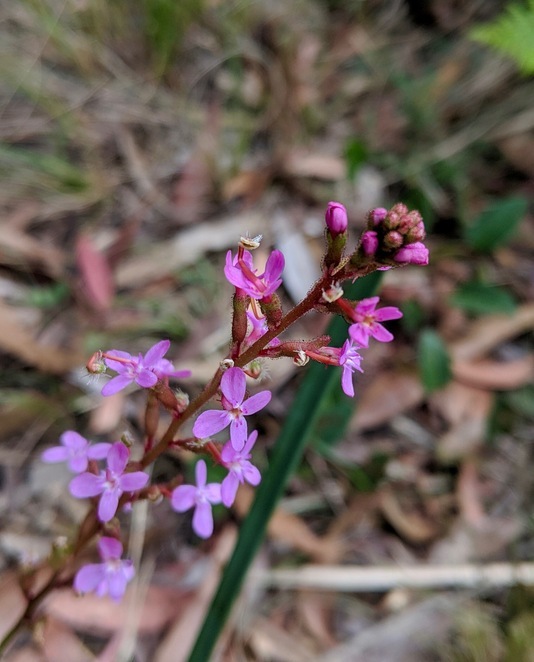 Guarded by columnar stacks of stones which look like a wall of organ pipes and framed in dense, luxurious greenery, Ebor is a sight for sore eyes. 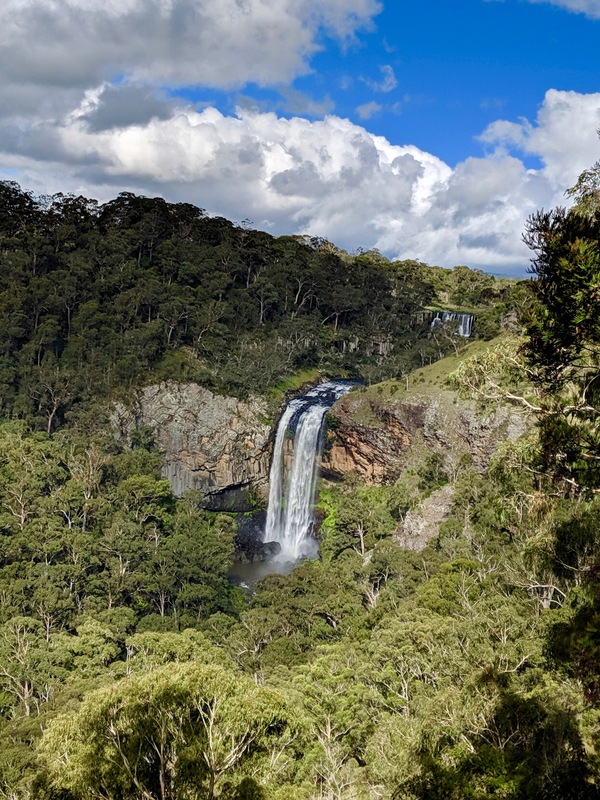 40 minutes from Ebor Falls, the road meanders through the historic town of Dorrigo towards Danger Falls. Bielsdown river hops down the slope of the landscape in cascades like a carefree frolicking child before hurtling 30 metres in the form of a photogenic waterfall into a wide green pool. 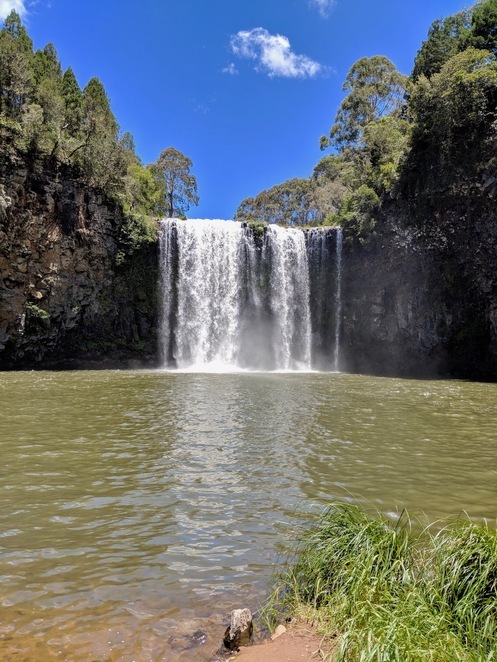 Though the pool is a swimming hotspot, jumping from the falls is strictly prohibited. The paved track downgrades from the picnic area, levelling gradually and dipping again towards the end before reaching the pool. After a peaceful night's rest at the Heritage Hotel Motel in Dorrigo, we journeyed on towards Dorrigo National Park. 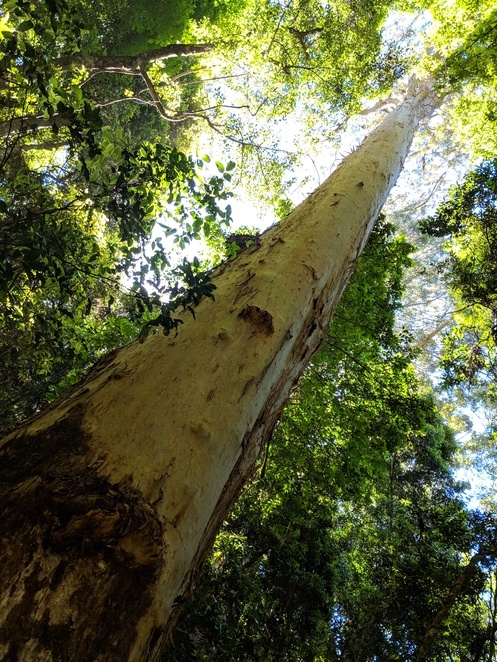 A mere 4kms from the heart of Dorrigo is the Dorrigo Rainforest Centre. 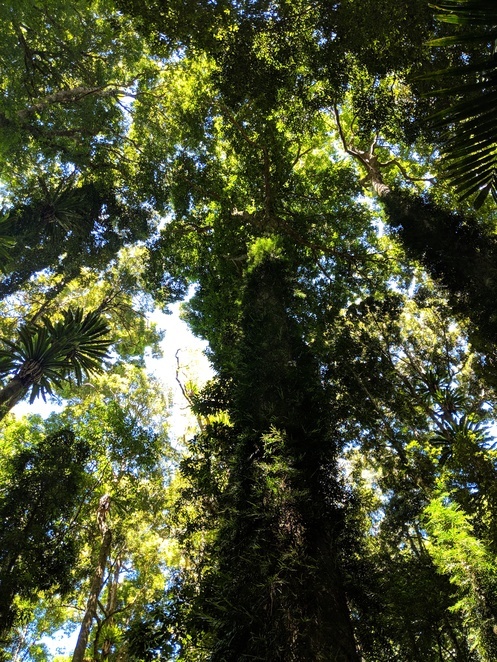 From here extends the Skywalk Lookout overseeing the vibrancy of Dorrigo National Park and the Wonga Walk, a 6.6km loop through the World Heritage-listed Gondwana Rainforest of Australia. The Wonga Walk encapsulates the disciplined and streamlined leap of Crystal Shower Falls, the unruly glide of Tristania Falls and a green cover of ferns, palms and trees that are 6 centuries old. The canopy is perfect for birdwatching. We spotted some black cockatoos and a couple of brush turkeys. Between the Rainforest Centre and Bellingen, the Waterfall Way has two more cascades by the side of the winding road. Humbled by these natural behemoths, we headed home invigorated in spirit and mind by the spectacular sights. Although their astounding beauty draws you with unflinching attraction, these forces of nature are better left untouched. 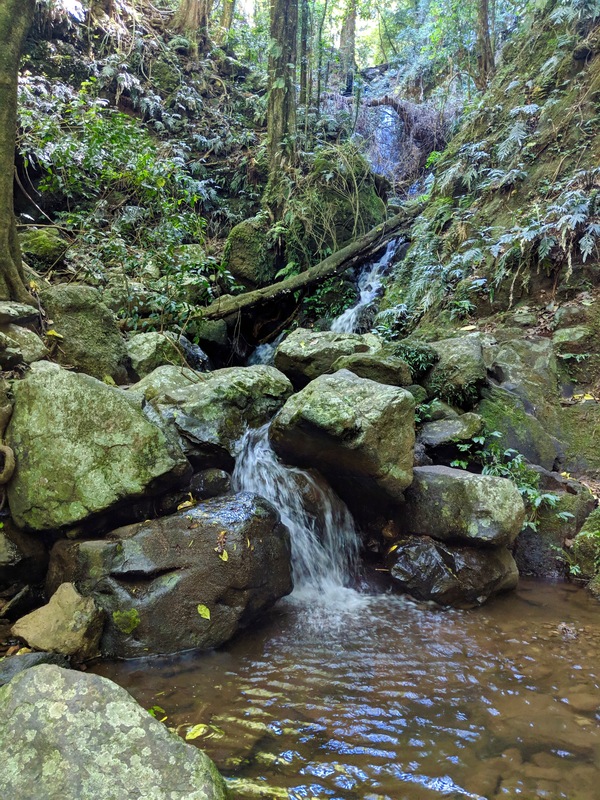 For undisturbed and unexploited these beauties will keep revealing the geological history one stone at a time and inspire generations to come. Great article Diana, thank you. Spectacular photos. 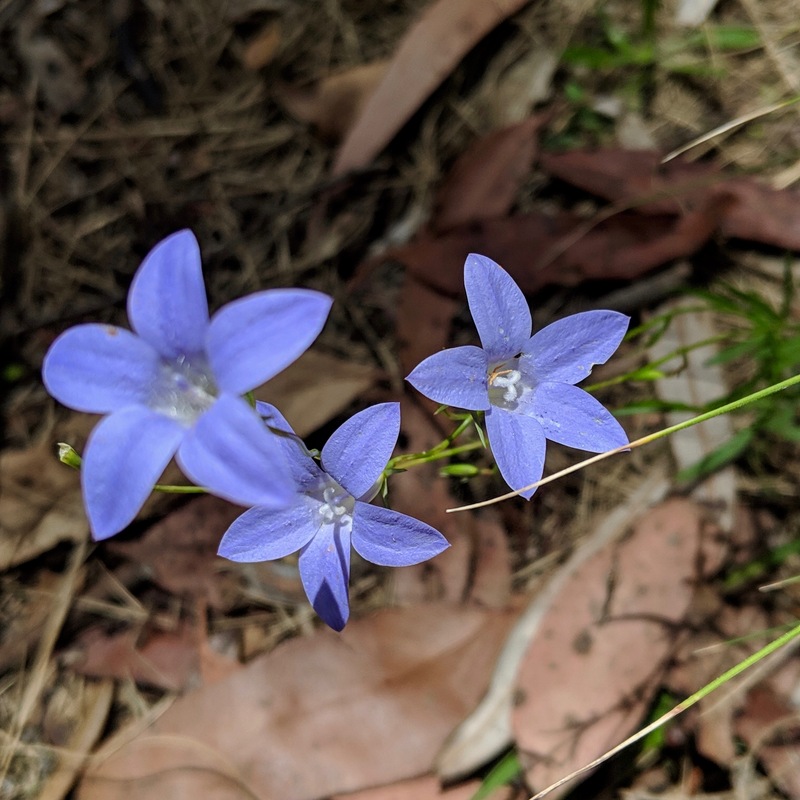 I'll be heading to Bellingen and Dangar Falls in a few weeks, so look forward to seeing these beauties. I enjoyed reading your article Diana, and your photos have a "I wish I was there" feeling to them. Your award was well deserved. Well done on your 1st in the comp, Diana! 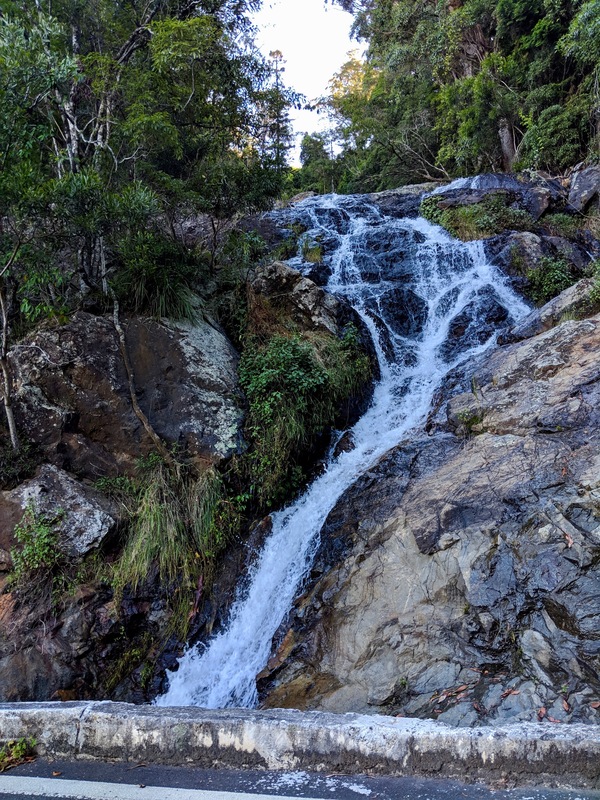 'Hubby' and I have travelled the Waterfall Way from bottom (Pacific Highway) to top (New England Highway) en route to Queensland. Stopped at every lookout and waterfall along the way. 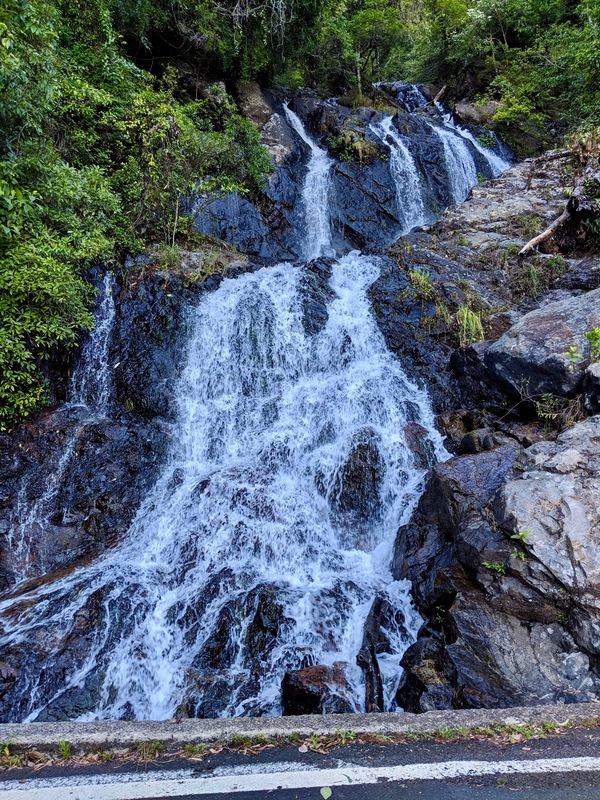 Each one different, from low cascades to deep chasms. 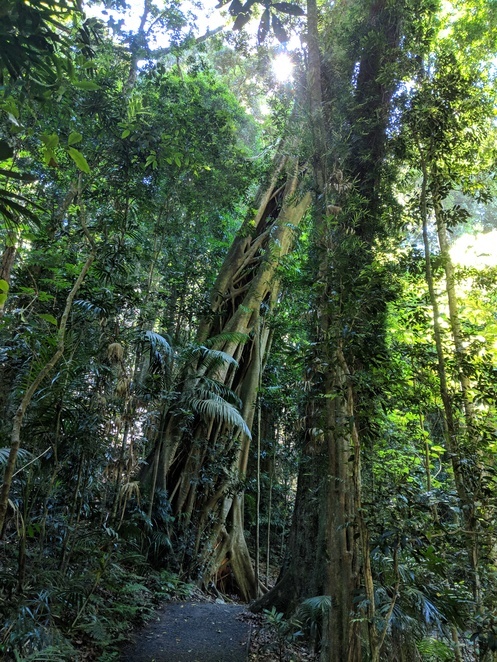 If this is God's country (there are many in Australia), it would be the place for us! Thanks for the memories, Diana and the stunning photographs.